This is the second volume of three that provides a comprehensive working manual for the laboratory testing of soils for civil engineering purposes. It is an essential practical handbook for all who are engaged in laboratory testing of soils as well as being of great value to professional engineers, consultants, academics and students in geotechnical engineering. This is the second volume of three that provides a comprehensive working manual for the laboratory testing of soils for civil engineering purposes. It is an essential practical handbook for all who are engaged in laboratory testing of soils as well as being of great value to professional engineers, consultants, academics and students in geotechnical engineering. 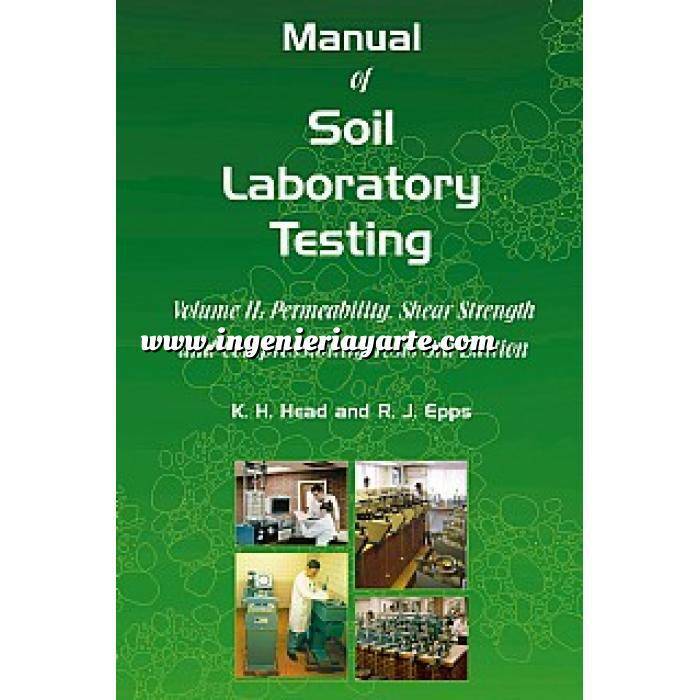 The contents have been revised and updated to reflect current practice in standard laboratory test procedures for determining some of the important engineering properties of soils. The authors have had many years experience in managing large soil testing laboratories since the early 1950s through to the present day, whilst actively contributing to the development of geotechnical testing through training courses, lectures, committees and working groups. They recognise that it is particularly important for test methods to be fully understood and a step-by-step approach has therefore been used in presenting each section. The test procedures comprise the measurement of soil permeability, CBR value, drained and undrained shear strength, and consolidation characteristics. Additional material in this new edition includes the Fall cone procedure for measurement of shear strength in clays based on the European Technical Specification, a simplified direct approach and a useful arrangement for applying pressures in multistage triaxial tests to meet the requirements of BS1377. The latest requirements for calibration of equipment and measuring devices are presented and discussed, together with the significance of quality assurance based on recognised laboratory accreditation to ISO/IEC 17025. Descriptions of test methods are complemented by many numerical examples in order to illustrate the methods for recording test data, making calculations, presenting graphical plots and deriving test results. Fundamental principles are explained, where appropriate, so that the operator can have a better understanding of the significance of the tests and guidance is given where experience has shown that difficulties may be encountered. The importance of good techniques, essential checks on test equipment and laboratory safety are all emphasised.